Talent strategy and workforce plan is tied to the corporate strategy. Talent Management processes and practices are aligned to the Talent Strategy. The capabilities, skills and competences the organization needs today, and it the future are clearly communicated. The focus of leaders and individual contributor is on executing on the development of these capabilities. The focus on leveraging and utilizing capabilities appropriately is ensured. The workforce is empowered and motivated to develop themselves and contribute to their full potential. The organization's ability to retain people with the required skills and aptitudes to meet the current and future needs is increased. A clearly articulated picture of critical competencies needed throughout the organization, which serves as a foundation for talent assessment, performance appraisal content, development plans and selection criteria. Implementation of a Talent Review process which will include a review and assessment of High Potential employees and At-Risk talent. Creation of developmental pathways that you can use to transform raw potential into high performers. Implementation of a Succession Planning Process to identify key positions and critical competencies needed to ensure that your organization has the ability to meet its strategic goals and support objectives now and in the future. My Executive Solutions partners with HR Executives to transform the HR role into a strategic business partner role by establishing a sustainable Talent Management platform that underpins the company’s talent development and management processes. Our consulting approach focuses on helping organizations move from “reactive” to “proactive” by aligning the organization’s vision for growth and strategic planning to a strategic people plan. Through a systemic process, we help HR Executives identify gaps between the current talent management practices and the future talent management strategy. 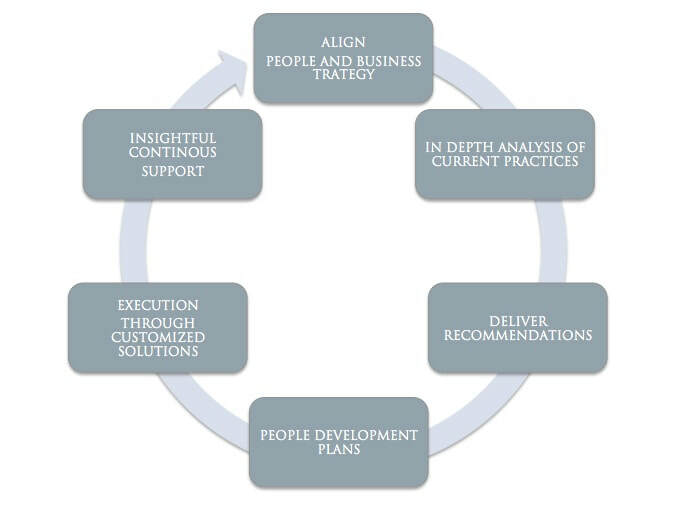 We assess needs in order to establish a comprehensive, enterprise-wide, multi-dimensional, scalable and reliable approach to managing and developing people to ensure that the right people and the right talent management processes are in place and in synergy with the organization’s strategic business plan.